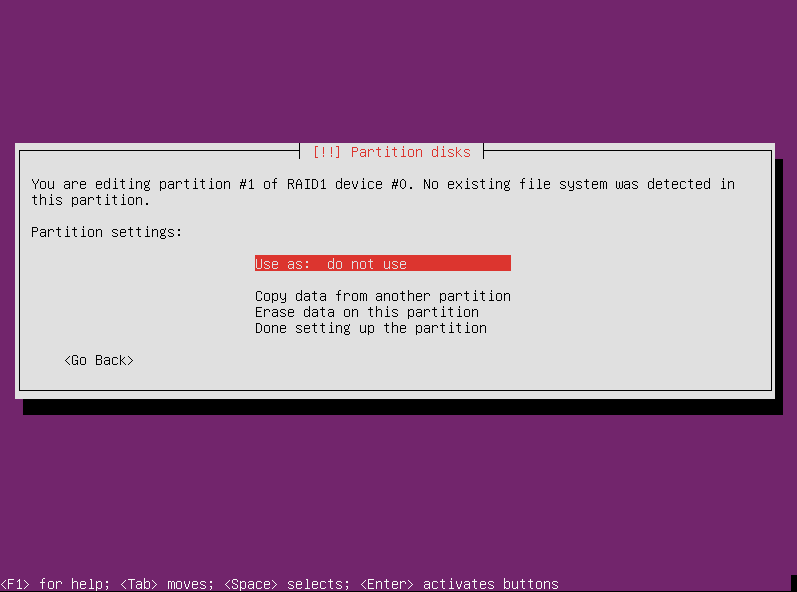 When you finish configuring the arrays, you are back at the main partitioning screen. Now that we have our RAIDs configured, we need tell the system what they are for. Select the #1 partition of the first array and press enter. The partition editing screen appears. By default the “use as” section is set to “do not use.” Well, we do intend to use this space, so select that entry and press enter. We are editing the array for the /boot partition, so we don’t need an LVM for this. We’ll just use an ext4 filesystem, so select that and press enter. 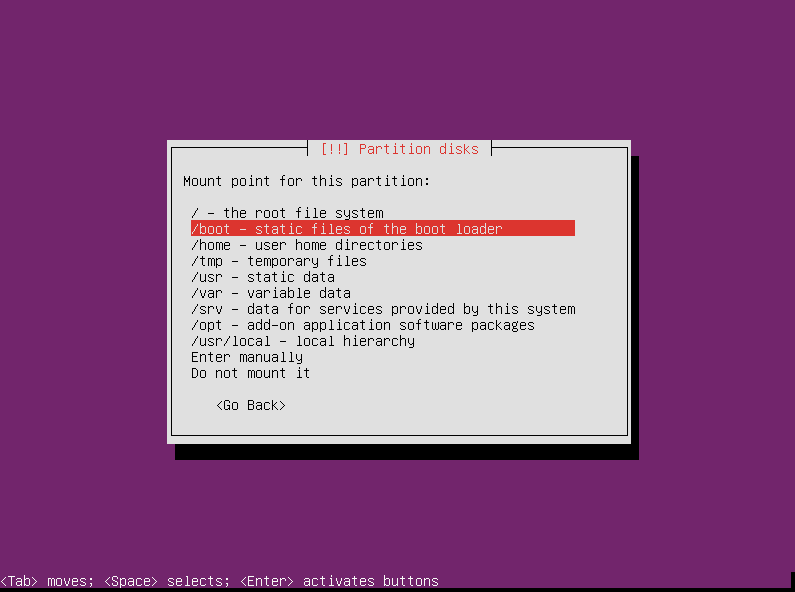 After selecting to use this partition, we need to tell the partitioner where to mount the filesystem. Select “mount point” and press enter. That’s all we need to change on this partition, so choose done. Back at the main screen, it’s time to get to work on the second array. Choose #1 under RAID device #1. This one also defaults to “do not use,” so we’ll need to change that. 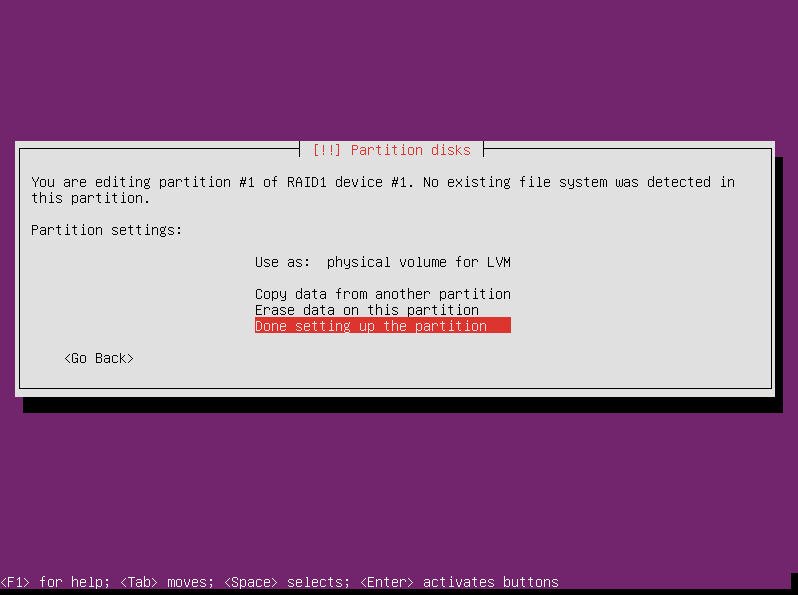 That’s all we can do to the partition at this level, so choose done to move on to LVM configuration.